Earth is a huge planet. It can feel at times like its resources are unlimited. However, many resources on earth are finite. Because of this, extracting them from the earth becomes harder every year. One powerful example of this can be found in your smartphone. The average smartphone contains over 15 rare earth elements. These elements play an important role in the processor, memory, and the smartphone display. If these elements weren’t available, it wouldn’t be possible to manufacture these devices. Rare earth elements may not be very common on earth, but they can be found in abundance on many asteroids. Since the quantities of rare earth elements needed for manufacturing isn’t very high, it may be feasible to mine these elements from asteroids that are in orbit near our planet. For example, a single gram of an element like californium can cost upwards of $60 million. If space explorers were able to harvest several hundred pounds of this element off an asteroid, the earth would have a supply that could last for decades. Asteroid mining will not be easy. Since asteroids weigh significantly less than earth, the moon, and many planets, they have very low gravity. They usually don’t have an atmosphere, and they are exposed to very high levels of UV rays from the sun. They can also expose space explorers to gamma rays and other damaging radio waves. Because of this, it’s likely that asteroid mining will require the use of remote controlled robotics. These devices will be better equipped to handle the harsh environments of an asteroid. 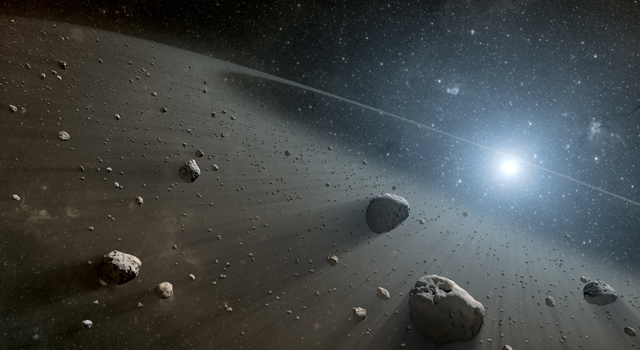 There have been several different proposals for harvesting asteroids. Some researchers believe it may be easiest to remotely harvest ore directly on foreign asteroids, then ship the harvested material back to earth. Other researchers believe that asteroids can be brought back to earth by attaching a series of rockets to them. When the asteroid reaches earth, it would be brought down to the surface through a controlled crash. While this would scatter parts of the asteroid over a moderately large area, the ground in that area could be processed to extract the desired materials from the asteroid. Unfortunately, all these techniques are still decades in the future. While the technologies exist today, implementing them for asteroid mining will still take more time.